You decide you want to lose 20 pounds. So you start eating better and exercising and lo and behold, the pounds start to come off. People start noticing and saying you look great. Then your clothes start getting loose and you need to buy new ones in a smaller size. This fuels your determination even more. The weight stops coming off and you’ve hit a diet brick wall. 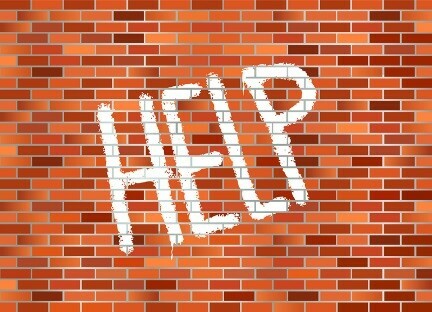 Well, here are 6 possible reasons why you can hit a brick wall when trying to lose weight and more importantly, how to blast through them and get back on track. Your thyroid stimulates your cell metabolism and regulates your metabolic rate—in other words how efficiently you create and burn energy. And if it slows down, trust me, so will your weight loss. A very accurate and sensitive test that assesses thyroid health is the "TRH challenge test" (also called the “TRH stimulation test”) so ask your doctor to do that test instead of or in addition to the typical TSH test (which isn’t as accurate). If your thyroid is sluggish, once you get treated appropriately it can make all the difference in the world. If you are on any of the above types of drugs, talk to your doctor about alternatives. Studies have shown that people who are pear-shaped (have a greater concentration of fat in the hip and thigh area) burn fat less efficiently than those with an apple shape (with most of their fat around their middle). The reason is extra fat around the gut is more actively recruited during times of energy need and thus can be easier to lose than fat on the legs and hips. Plus if you don’t have a lot of muscle that can bring your weight loss to a snail’s crawl too since muscle burns more energy than fat. In either case, you can help jump start things again by working in some strength training into your exercise routine (with your doctor’s OK). You don’t need to become a bodybuilder or invest in expensive equipment. Just simply holding on to light hand weights (1-2 pounds) while using the treadmill or moving your own bodyweight (such as with push-ups, arms dips or crab-walking) can make a big difference. High estrogen, low testosterone, low DHEA (a hormone of the adrenal glands), high insulin and high cortisol can also bring your dietary success to a screeching halt. If you get tested and find you’re hormones are off, as an alternative to traditional synthetic medications, explore bio-identical hormone replacement. Unlike synthetic hormones, the body typically has an easier time assimilating bio-identical hormones because they are identical in molecular structure to the hormones made by your body. If your exercise efforts started out as, say, walking for 30 minutes 4 times a week, chances are excellent that was enough to help start your mass exodus of fat. But lo and behold, things change. Your body becomes smarter and your muscles develop memory when you repeat the same activity over and over. That means that eventually you might not get as much benefit from the same exercise routine anymore…and the weight loss may stop as a result! The answer to that is: Step it up and switch it up! It can make a huge difference to either increase your exercise time (such as from 30 to 45 minutes) and/or change up your routine (like incorporating swimming and bicycling into your activities instead of just walking). The more you can challenge and surprise your body with your physical activities, the more you will see that fat roll off. Just be sure to get your doctor’s OK, especially if you are just starting an exercise program. If your foods are not being broken down like they should be, you're not getting the maximum nutrition from them. This can cause your cells, tissues and organ systems to slow down, be stressed, not use energy as efficiently and eventually build up wastes and toxins. Plus lacking nutrients causes feelings of hunger which leads to eating more than you should without even realizing it. And I think you can guess what that means! Accomplishing better digestion isn't hard--it's just is a matter of eating foods that break down more easily together, and giving your body a little assistance if needed. In the Great Taste No Pain system, you’ll learn what foods to eat and how to structure your meals so you can help encourage more efficient digestion and more regular BMs. That will help you take off those excess pounds until you reach your goal weight and most importantly, keep them off! Plus many people’s bodies reach the point where they have trouble producing adequate enzymes for digestion—that’s especially true if you’ve eaten lots of fast/processed foods, take acid reducers, have had gastric surgery or are over 50. So you may need a little boost—with an enzyme supplement like Digestizol Max. Digestizol Max helps your body break down a variety of foods--proteins, fats, carbs, fiber, etc.--and helps conserve your body’s enzyme resources. This can help support more complete digestion as well as reduce GI issues like gas and heartburn! If you’ve hit diet brick walls in the past, now is your time to take the weight off, reach your goal weight and keep it off for good! When you take the proper measures to address any possible factors that may be holding those pounds on you, a whole new slim existence can be yours for the taking. PS: Our new multi-vitamin formula Super Core will be coming soon! I’ll announce when it’s available!